Kevin L. Johnson, a Tredyffrin resident, is one of the Landscapes3 Steering Committee members. 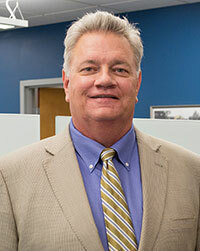 Johnson is the president of Traffic Planning and Design, Inc., a transportation planning and engineering firm with nine offices throughout the Mid-Atlantic region. The Chester County office is located in West Chester. Johnson’s areas of expertise are in transportation engineering and design, transportation planning, and environmental analyses. He has served on the board of many planning and transportation related organizations. He is a current member of the SEPTA Board of Directors and the Associated Pennsylvania Constructors Board of Directors. He previously served as a board member of the Chester County Planning Commission, which included involvement with the Landscapes2 Steering Committee, and was a member of the Transportation Transition Teams for Gov. Tom Wolf and Gov. Tom Corbett. For more information about Johnson, click here.